When you search for information, you enter specific words and phrases into a search bar. Google (or a similar search engine) then fetches results based in part on site authority, but mostly based on the relevance to that given query. If you want to be successful in SEO, you need to understand what people are searching for, how often they’re searching for it, and why they’re searching for it. So how can you find this information? It all starts with keyword research, the process of uncovering keyword opportunities for your brand to rank higher in search engines. Let’s start by covering the basics of keyword research. The concept, as usual in the online marketing world, is simple, but the execution is more complex; essentially, you’ll be discovering what types of queries online users are using in search, then using that information to optimize your pages in a way that makes them more likely to rank for those queries. But it’s not as simple as you might think, as keywords no longer work the way they used to. The old model of keyword research was quite simple, as Google’s search algorithm was relatively simple. It functioned on a one-to-one basis, separating a user’s query into its base components and finding where those components were featured most throughout the web. For example, let’s say you searched for the phrase “burger restaurant Denver.” Google would separate this query into keywords and keyword phrases, then look for pages throughout the web that featured these specific words and phrases. It wasn’t quite as simple as finding out which website used these words the most, because authority was also taken into some consideration, but it was close to that. Google might have taken a look at a page that features the phrase “burger restaurant” multiple times, as well as “Denver” a few times, and might have prioritized a site that featured the exact phrase “burger restaurant Denver,” in the text of the page, even though that phrase never naturally comes up in actual human conversation. Google did rely on synonyms, but again, only in a one-to-one relationship. Google fought back against such unnatural-looking attempts at ranking higher in search engines for these types of search queries with various algorithm updates, including the monumental content-focused Panda update in 2011, but it wasn’t until 2013 that the fundamental keyword basis of Google search was overhauled with the Hummingbird update. Hummingbird introduced the concept of “semantic search,” which looks at the context of a user’s search query rather than its exact keyword composition. Hummingbird sees a query like “burger restaurant Denver,” and is able to infer that a user is looking for a burger restaurant in Denver, Colorado. It then scours the Internet for websites of actual burger restaurants in Denver that have a high enough authority to rank for the query. That authority is calculated based on literally hundreds of factors, but in this case one of the highest factors for a local restaurant would likely be its reviews and ratings on review sites like Yelp. Notice how, in the screenshot above, that none of the results have the keyword “burger restaurant denver” anywhere in them. This difference may seem small, but it’s made the entire concept of keyword density –once an essential component of keyword optimization – practically obsolete. You don’t necessarily have to include the phrase “burger restaurant Denver” in your website at all to rank for that query, as long as Google understands that you’re a burger restaurant in its semantic deciphering of your content. This, along with Panda’s (another Google algorithm) favoritism for high-quality content, has helped to spawn our modern “golden age” of content. Well-written, quality, valuable on-site content gives you more opportunities to establish relevance for topics related to your brand, and cover a wide range of different potential searches. Okay, So Are Keywords Still Relevant? After reading this, you might think that keywords are no longer relevant. After all, Google no longer takes them into consideration when trying to match a query to a selection of pages. However, this isn’t quite true; keywords are still important for consideration, just in a different way than they used to be. Google still relies on keywords to help it understand the subject matter of various pages and websites. As a simple example, it might see the words “burger” and “restaurant” several times on a page and understand that this is probably a website for a burger restaurant. But this is even more important in more complex cases, such as when a user searches for something conversationally, like “what’s the difference between general relativity and Newtonian gravity?” Google can’t easily reduce this query to a single concept, but it can scout for articles that seem to use the phrases “general relativity” and “Newtonian gravity” in a comparative context, and will probably even favor a site that happens to use the exact extended phrase entered. Because of this, it’s still important to pay attention to your phrasing, but the majority of your keyword “matches” will arise naturally as long-tail phrases—as long as you have a solid content strategy. This has led to a differentiation between bona fide “keyword research” and “topic research” for content—two of the main sections of this article—but I’ll dig into those in a bit. Search volume analysis. First, you’ll gain insights into what keywords are more popular than others. This can help you find more popular topics to optimize for, which will eventually lead you to higher traffic and a higher ROI. For example, take a look at the difference in search volume (the number of times a user has searched for a given query) between “how to bake a cake” and “how to build a particle accelerator.” The clear winner is “how to bake a cake” (and let’s be thankful for that), making it far more favorable to optimize for. Competitive research. Competitive research can help you determine which keywords and phrases your direct competitors are already ranking for. From there, you can decide which ones are worth fighting for and which ones are worth leaving. For the most part, you’ll want to shoot for target keywords that none of your competitors are currently ranking for, as they’ll be easier to establish rankings for, but they aren’t always easy to find. Competitive research can also help you understand the general course of your opponents’ SEO strategies, so you can adjust your own to more appropriately combat them. Content ideas and SEO direction. Next, keyword research will give you ideas for your content marketing campaign, and help you set the direction for your SEO campaign. With a solid “group” of target keywords in mind, you’ll be able to establish the meta data and body copy for the main pages of your site, and come up with an editorial calendar full of topics that are actually relevant to your audience. Keyword research not only helps you pinpoint competitive opportunities and popular topics, but also helps you expand your conceptions through a brainstorming process. You’ll see how this works in greater detail later. Market research. Doing keyword research also helps you understand your key demographics better, giving you information you can use in other areas of your business, including other areas of your marketing campaign. For example, you may find that search patterns for a specific product tend to escalate in winter, giving you a critical marketing opportunity to push that product more during winter months. You may also be able to learn more about the average buying cycle, including what types of questions consumers tend to ask as they get closer and closer to making a final decision. Ranking measurement. Finally, doing keyword research in advance gives you a concrete way to measure the progress of your SEO campaign. Personally, I’m a fan of using factors like overall organic traffic and conversion rates to measure SEO campaign progress, but being able to definitively chart your rankings for a handful of target keywords also lends accuracy and thoroughness to your campaign. For example, it’s helpful to know that AudienceBloom.com ranks #1 for the keyword phrase “link building seattle.” We started off completely unranked, and could watch as we gradually made our way to the top, with that growth being a signal that our overall SEO strategy was succeeding. In theory, your efforts will raise your rankings for thousands of potential queries, including ones you’ve never thought of, but pinpointing specific phrases gives you a window into this overall growth. It’s important to know how you’ll be using keywords if you want to choose them appropriately. Title tags and meta descriptions. Your page titles and descriptions are some of the most important areas to include keywords for your campaign. These are considered highly important elements by Google, mostly because they’re the first things a search user sees when scrolling through the results. Including a head keyword prominently, early on in your titles and descriptions, helps Google categorize your site—just make sure that your keywords are relevant for the content of your pages. Take AudienceBloom’s title and descriptions as examples; “link building” and “content marketing agency” are two of the keywords we’re targeting, and both are appropriate to our brand. We don’t stuff in any more keywords than we need to. Dedicated pages. Because page titles are so powerful when it comes to evaluating relevance, and because each page is indexed separately in Google, it’s sometimes a good idea to create dedicated pages for each of your head keywords. For example, if one of your target keywords is “emergency plumbing repair,” you may wish to create a new page of your site specifically called “Emergency Plumbing Repair” in your main navigation. However, you’ll want to be careful here. If your page appears unnatural, or if its body copy is spammed with keywords, you could earn a ranking penalty rather than a boost. Header tags and body content. Aside from the titles and descriptions, you’ll want to include keywords throughout the body of your pages. There used to be a rule that keywords should make up about 2 to 3 percent of the total volume of words on a given page (this was referred to as “keyword density,” but forget about that. Just include keywords occasionally where they naturally fit in, especially long-tail keywords, and especially in your header tags (h1, h2, etc.). Ongoing content. Your ongoing content is your best place for the ongoing support of your target keyword phrases. If you’re developing multiple new posts for your blog a week, you’ll have multiple opportunities to optimize for new keywords, new pages with new title tag and meta description opportunities, and of course, plenty of body copy where you can include your keywords at a natural pace. I’ll dig deeper into the content side of things when we cover topic research later on. Some SEOs have declared topic research as the “new” keyword research, while others have decried keyword research as an SEO strategy in general. I believe that keyword research and topic research for content are two distinct, yet highly related strategies that are both necessary if you want to be successful in SEO. Keyword research helps you find keywords and phrases to target in the technical infrastructure of your website and give you solid targets to rank for, while topic research is more about finding a strong foothold for your content marketing campaign (and appealing to your users as much as possible). I’ll delve into each of these topics individually, breaking down the research and execution process step by step. Let’s take a look at “standard” keyword research for SEO. The goals here are to find a selection of target keywords you can use to optimize the various pages of your site for specific user queries, then use your rankings for those keywords as a relative gauge of success. For the majority of this article, I’ll be calling upon Moz’s Keyword Explorer, one of the best all-around tools for keyword research. At the end of this article, I’ll be listing it along with other tools mentioned in this guide as a reference index for your future use. If you’re interested in fuller descriptions of these tools as we go along, be sure to reference it. Before we jump into the step-by-step guide, you need to understand some keyword research lingo: head, and long-tail keywords. You’ll often hear about “long-tail” keywords in contrast with “head” keywords. Essentially, long-tail keywords are extended phrase search queries, such as “what is the best roofing company in Wyoming?” Compare that to a traditional “head” keyword or keyword phrase like “roofing company” or “roofing company Wyoming.” There’s no strict line to draw here, though generally, if a query is in sentence format, it can be considered as a long-tail phrase. Long-tail keywords are advantageous because they tend to have a much lower competition rating than head keywords; the catch is they also have much lower search volume. It’s great to use long-tail keywords to rank quickly for niche positions, but if you’re looking for some heavy-hitting rankings to build over the long-term, head keywords are better. Typically, SEOs use head keywords for title tags of the most prominent pages of their site, like Home, About, and Contact pages (as well as body copy), while long-tail keywords are reserved for blog article titles. Because each type of keyword has advantages over the other, I highly recommend pursuing both over the course of your campaign, balancing the two based on your current goals. Next, let’s dive into the step-by-step breakdown of exactly how to conduct keyword research for SEO. Generally, if you’re looking for fast results, you’ll want to choose long-tail keywords with a low competition rating; these are going to be your fastest road to rankings, but keep in mind high rankings here won’t always send much traffic your way; it depends on search volume for each keyword. Head keywords and higher-competition keywords are better for long-term results, assuming you’re also picking higher-relevance keywords with a high search volume. A bigger marketing budget would allow you to theoretically invest more effort in either side of the equation, allowing you to cover more ground and rank faster for your target terms. It’s hard to estimate exactly how much time or money you’ll need to rank for a given keyword, but these metrics should help you understand your biggest opportunities, and estimate the relative degree of effort you’ll need to invest in each to see results. In turn, this should guide the development of your keyword research. You’ll start your keyword research by selecting what I call “seed” keywords. Seed keywords are those that you either already know your target audience is using to search for your services, or that you would use if you were a member of your target audience. Of course, AudienceBloom offers more than just “content marketing services.” We also offer link building services, social media marketing services, and blog writing services. It took me a couple minutes to come up with the keywords above, and they were all off the top of my head. Write down these seed keywords, as we’ll conduct specific research on them in the next step. Click that link to be taken to a page that lists similar keywords to your seed, as well as relevance, and volume. Next, download the list of keywords into an Excel spreadsheet using the “Export CSV” link. Use different tabs/sheets in your Excel spreadsheet to separate your keywords for each topical relevancy group. Ubersuggest is another fantastic tool for generating keyword ideas based on a single seed keyword. Enter one seed keyword, and it will automatically generate a list of potential keyword opportunities. Try it out with at least one of your seed keywords from each group, and add its suggestions to your keyword spreadsheet. Competition and environment. What do you imagine your average customer searching for when they look for a company like yours? What kinds of phrases are your competitors using throughout their websites? Free association. Once you’ve run out of ideas in this first stage, you can move on to free association. For this, I find it’s best to use a pencil and paper. Instead of deliberately aiming to develop keywords, you’ll write down a basic topic, like “sales,” and you’ll write down the first thing that pops into your mind. Then, write down whatever you associate that next term with. Keep going until you build a chain of terms outward, and if you like, return to the center to build another branch of the web. This will help you break your linear thinking and come up with some novel topics. Forums and blogs. You can also cruise existing blogs and forums that your target audience might frequent, in or out of your industry, to see what types of topics are popular. Are there any words or phrases that seem to be frequently visited or discussed? What kind of focus do these blogs and forums have? You can also crawl these areas to see if there are any topics your audience is curious about, but haven’t been sufficiently covered by any authors. Interviews. It’s easy for an individual to get tunnel vision in keyword research, so start talking to the people around you for newer, fresher ideas. Ask your coworkers what keywords and phrases they’d associate with your business, and ask your clients and past clients directly what they would search for if they were looking for a business like yours. These are valuable insights, and you should keep track of them. You should now be looking at a spreadsheet that contains a bunch of keywords – possibly thousands or even tens of thousands. 1. Relevance. The relevance of a given keyword is a subjective measure of how useful the keyword is to your brand. Obviously, you’ll want to include keywords that are more or less in line with your brand. But even within your niche, some keywords and phrases will be more valuable than others. For example, if you sell bookshelves, the keyword “where to buy bookshelves online” will tend to attract customers interested in buying bookshelves, while “how to build a bookshelf” would attract DIYers who probably aren’t interested in making a purchase from you. Unfortunately, my experience with Moz’s Keyword Explorer for measuring this has not been very reliable, since it’s almost entirely subjective, so you’ll probably need to rely on your own intuition and experience to determine relevance for each keyword in your list. 2. Volume. The search volume for a given keyword is a rough estimate of the number of times that keyword has been searched for, within a given population, over a certain period of time (usually a month). You can use this as a relative gauge of the keyword’s popularity, though it doesn’t specifically tell you about the keyword’s click-through rate or user intent. Still, it’s a valuable at-a-glance metric that can help you determine which keyword rankings will bring you more traffic than others. There’s variation because keyword searches fluctuate from month to month. For example, taking a look at the screenshot above, you can count on the keyword “content marketing” to earn between 11,500 and 30,300 searches each month. There’s no rule for what search volume you should target; obviously, higher is better, but it usually comes with the tradeoff of higher competition, which makes it more difficult to rank for. SEMRush offers similar features, but strives for a volume count with pinpoint accuracy. This may be useful in the short term, but if you want better long-term projections, it’s better to rely on a range. 3. Competition. Finally, you’ll want to take a look at the competition rating for each keyword. Again, Google’s Keyword Planner will be able to tell you this, but unfortunately, this data is less objective (giving you only “Low”, “Medium” or “High”) and much less precise than search volume. SEMRush offers 0.81, at least in the context of paid search, which you could roughly translate to 81 out of 100. Confused yet? Competition is hard to precisely calculate, so take an average, qualitative value here. Based on these competition evaluations, I’d consider “content marketing” to have high competition, and thus, be a very difficult keyword to rank for. You should eliminate the high-competition keywords from your list unless you’re ready to fight tooth and nail, or you have a massive budget that can help you blow through almost any competitive obstacle. It would take you months of consistent effort to earn rankings for these, and even after all that effort, it’s unlikely that the traffic payoff would be worth it. If you must, include only a couple. Relevance is up to you to figure out without the help of tools, but volume and competition are objective factors that you can gather with the help of tools. Once you’ve grouped your keywords into the spreadsheet, remove all the ones that aren’t relevant. Again, this will be a subjective determination that you need to make, based solely on your knowledge of your industry, so just do your best here. This step can take a long time, as you’ll need to manually go over each keyword and determine whether it’s relevant or not. After you finish removing all the irrelevant keywords, you’ll be left with a list of keywords that are relevant and have some measurable amount of search volume and competition. Next, you’ll want to take a closer look at the competition, and what types of strategies they’re using in their search campaigns. Inspiration. If you can understand how they’ve optimized their websites, where they currently rank, and how they’re getting more relevant customers to their sites, you can adopt some of these techniques for yourself. Understanding competition levels. Second, you’ll be able to gauge what level of competition you’re in for. Are your competitors all fighting viciously for web real estate, or is it an open field? Discover weaknesses and opportunities. Are there certain niches that your competitors haven’t been able to touch? Are there opportunities for development they’ve missed? You’ll get to see their names listed, as well as their relative competition “level,” and what keywords they’re competing with you on. You can use a tool to help you understand where and how your competition is ranking for various keywords—and I’ll be getting into those at the end of this guide—but for now, you can get an “at a glance” look by searching, in Google, for some keywords you think an average prospect in your target market might use. As an example, I performed a search for “online time tracking software,” a typical keyword phrase that might be used by someone looking for such a product. You can see a number of time tracking tools ranking for this, many of them using that exact phrase. But you’ll also find inspiration for tangential keyword phrases, like “employee timesheet,” which seems popular. Look at the titles (in blue), and descriptions (in black), to get a feel for what kinds of keywords they’re using. After adding new keywords you got from your competitor research, it’s time to choose your keepers. The ideal keyword is one with high relevance, high search volume, and low competition, but these are hard to find, so you’ll have to make some strategic choices and balance your keyword selections. The number of keywords you select should depend on the size of your business, your budget, and your goals. Most small- to mid-sized businesses do well with a list of 20-30 keywords. Any more than 30, and you’ll either need a full management team, or you won’t be able to gain much meaningful momentum for any of them. You don’t have to limit the number of keywords you choose as your “winners” – in fact, the more relevant keywords you track in your keyword rankings, the better accuracy with which you’ll be able to gauge the progress of your content marketing or SEO campaign. Just be sure to only focus on building up a few keywords at a time, as anything more ambitious will likely dilute your efforts too much to be effective. There are many important metrics to monitor in a full-fledged SEO campaign, including your organic traffic, social traffic, referral traffic, and conversion rates, but when it comes to evaluating your keyword progress specifically, there’s no better metric than your actual keyword rankings. Unfortunately, Google doesn’t explicitly publish this information, so your best bet is to use a tool to help you—AgencyAnalytics is what I personally use, but there are a ton of software options that do this, such as AuthorityLabs, RankWatch, and more. There you have it. This is the long and short of how to perform “modern” keyword research for SEO—and some tips on what to do with that information once you have it. Now, let’s turn our attention to the close cousin of keyword research and how it relates to your overall campaign—topic research. Though similar to keyword research, topic research has its own process, its own benefits, and its own best practices. Topic research follows similar lines as keyword research, but it demands a closer focus on user behavior and content trends than search trends, specifically. For this reason alone, topic research should be treated as a separate entity. So far, keyword research has been executable and valuable for a standalone SEO campaign, but topic research can benefit you in far more areas; your content campaign, social media marketing campaign, and customer retention strategies can all benefit more from topic research. There’s some overlap, because both keyword and topic research are designed to bring people to your site, but topic research has a greater likelihood of keeping people on your site. From a pure customer acquisition perspective, topic research can help you take advantage of the semantic search that Google has been using since it launched its Hummingbird algorithm. Because one-to-one keyword matching can’t guarantee that keyword inclusion will help you rise for specific keyword queries, topic research helps you understand—and meet—user needs, essentially getting in front of more people out of necessity. As an illustrative example, take the search phrase “garbage disposal is broken.” Google interprets this phrase semantically, understanding that your garbage disposal is not working, and provides content that doesn’t contain these exact keywords (i.e., “How to Fix a Garbage Disposal”), but does interpret and address your need. Topic research helps you find and solve these user needs. The factors for success in a topic are slightly different than the success factors for keyword research, because you’re after a qualitative user experience rather than quantitative benefits. Interest. The first major factor is interest. Your users need to have a vested interest in the topics you produce. What does that mean for your brand? There are a few fundamentals, but ultimately every brand and every audience will have a different answer. For example, one of the most important qualities of “interesting” content is that it’s unique. Your topics can’t be ones that competitors have already covered. You can publish new versions, or different angles, or follow-ups, but it needs to be original. Beyond that, you’ll have to rely on what you know about your demographics, including their wants or needs. Value. Another important factor is value, and oftentimes this translates to practicality. Your topics should serve some kind of function for your users, giving them instructions they need in a certain situation, or information they need to consider some broader ideas. How-to articles and tutorials are exceptionally popular, but remember, these need to be unique. Also keep in mind that your topics don’t have to be practical to be valuable—the best example of non-practical, valuable content is entertaining content, though obviously this won’t work for just any brand. Timeliness. Unlike the interest and value factors, timeliness isn’t an absolute necessity, but it can be helpful. New topics, such as those covering a recent event or update in your industry, tend to be highly popular in the first few days and weeks after their release. Trending topics can also be taken advantage of for additional search visibility. However, “new” topics and appropriately timed topics shouldn’t make up the entirety of your focus; you’ll also need “evergreen” topics that will presumably stay relevant indefinitely. Balancing your topic spread between these two types of content timeliness will give you the widest possible spread, helping you take advantage of news topics without sacrificing the longevity of your campaign. Catchiness. Again, this isn’t a necessity, but it helps if you find topics that are “catchy”—that is to say, topics that have a high likelihood of getting shared or going viral. Content pieces that are shared virally tend to attract far more backlinks, helping them earn more authority and rank even higher for your SEO campaign. A major factor for catchiness is uniqueness, which you’ve hopefully already covered in the “interest” category. Beyond that, you need some kind of emotional “hook,” such as something surprising, or something otherwise emotionally charged. When you first start the topic research process, you’ll need to dig deep to gain a thorough understanding of the types of people who will be viewing your content. Remember, keyword research allows you to be more quantitative in your approach, calculating things like competition and search volume, but topic research demands a more qualitative approach, forcing you to understand the hows and whys of customer interaction with your material. Buyer personas. One of the best ways to start is by developing specific “buyer personas” that represent the main demographics you intend to target with your content. Rather than making assumptions or guesses about your audience’s needs, this method will force you to sketch out a portrait of your “average” customer, including their basic information, disposition, interests, family life, professional life, wants and needs. Treat it like you’re developing a fictional character, and interview some of your existing customers to get a better feel for who you’re working with. If you need a good template to build your buyer personas, Hubspot has a great one. Buying cycle. In addition to buyer personas, you’ll need to get a better understanding for the buying cycle of your average customer. What are your customers thinking when they first start the research process? Where do their interests turn as they become more familiar with your brand? You can use this information in several ways in the course of your topic research. For example, if you want to specialize in one area—such as finalizing potential customers already familiar with your brand, or merely increasing brand familiarity among people unfamiliar with your brand—you can do so by favoring those topics. You can also opt for a more homogenous blend of different target topics. Social listening. Social listening will help you kill multiple birds with one stone. The basic idea is to “plug in” to social media channels to find out what your key demographics are talking about—what topics they seem to be sharing, what keywords they seem to be including in their posts, and what hashtags are trending. On one level, you’ll be able to learn more about your target demographics—how they behave, what’s important to them, and what they’re interested in. You’ll also get a peek at what types of topics might be good to start producing. Next up, you’ll need to perform some competitive research. When you performed competitive research for keywords, you took a look at the titles and descriptions of their main pages (and possibly used a third party tool to spy on their current rankings). Here, you can rely on similar tactics to identify your competitors in the first place. For example, you can run a domain search for your own domain in SEMRush and get a list of some of your fiercest organic search competitors. Then, you can drill into individual domains to see what they’re ranking for, and what keywords they’re targeting. Take a look at your competitors’ content marketing strategies and see what’s working and what’s not. BuzzSumo also allows you to see the most popular content that links back to your site as well as your competitors’. This can be useful for assessing the value of your competition’s off-site content marketing efforts. Just use the “Backlinks” tab in Buzzsumo, then type in the domain/URL of your site or a competitor site. Use these tools to identify competitors and find out some of their biggest strengths and weaknesses, then rely on your qualitative analysis to make further conclusions. Browse through your competitors’ blog content, and see how many comments and shares each of their articles are getting. Take note of their most popular content topics, as well as any topics they have that seem to generate no momentum. Don’t copy these topics directly; instead, use them as jumping-off points to guide your own work. For example, if a competitor seems to get lots of popularity with “how to” articles, consider creating some of your own. You can also look for topics that seem to be underexplored or underutilized, such as exploratory topics that don’t tell the full story, or articles with inaccuracies or those that lack substance. These are key opportunities for you to create your own versions, hopefully generating more attention and more links, and giving you the opportunity to outrank your competitor for those related inbound queries. At this point, you’ll have insights into the behavioral patterns of your average customer, social media, blog, and forum trends, and a glimpse into your competitors’ strategies. Combined with some of the long-tail keyword research you performed in the last section, you should be able to compile a list of popular, interesting, valuable topics that you can introduce to your blog. One of the best strategies to do this is to establish a regular pattern of features. You don’t want to repeat yourself, but you can leverage certain frameworks multiple times for different facets of your brand. For example, in the online marketing industry, if you find that “top 10” lists are popular and underutilized (this isn’t the best example because top 10 lists are overused, but it works), you could write up a series like “the top 10 benefits of content marketing,” “the top 10 benefits of seo,” and so on. The key here is to find some frameworks that are repeatable as evergreen content. When your topics are semi-repeatable, you’ll be able to produce a greater volume of content to increase your relevance for those terms, and when they’re evergreen, you know they’ll stay relevant indefinitely, rising in rank as your overall domain authority grows. With some threads of evergreen content in place, your next step is to set up some kind of news monitoring program. Your goal here is to receive regular updates about what’s happening in your industry or geographic area. When you see a topic trending, or a new topic emerging that’s relevant for your brand, you can jump on it. There are three great ways to monitor news developments in your industry. News subscriptions. First, there’s straightforward content subscriptions. You can use an RSS feed, or subscribe to each brand’s content newsletter, but for me, the best thing to do is head to a blog reader site like Feedly and browse through sources related to your industry. You can go as broad or as specific as you’d like here, and segment your sources however you’d like. Then, whenever you want to look for news, you can head to this singular source and pull from major topics that seem to be trending. Social media lists. Next, you can create lists of major brands and influencers on your social media platform of choice. For example, on Twitter, you can create custom lists of certain types of accounts and access them to see what they’re talking about. This is a great way to collect your news sources in one area. In combination with your social listening practices, it’s highly effective for cultivating new potential topics from the news. Twitter offers one of the best ways to do this; click on “Lists” in the settings menu, and you’ll be able to create a new list in a few clicks. Competitive monitoring. You’ll also want to bookmark the blogs of your main competitors, and check back occasionally to see what types of new content they’re developing. Again, this isn’t so you can copy their strategy—instead, scout it for inspiration and for weaknesses that you can exploit in your own topic collection. By now, you’ve noticed that topic generation isn’t as precise as keyword generation. You won’t have as much quantitative data to work with, and you won’t be generating a list of exactly repeatable phrases. So from here, it’s best to move straight to execution. Build an editorial calendar. One of the best ways to keep your topics fresh, organized, and visible to your entire team is to keep them confined to an editorial calendar. This doesn’t have to be a fancy or formal document; in fact, a simple spreadsheet works fine. If you’re looking for a template, I recommend the one that the Content Marketing Institute offers. It gives you enough space to list your headline, author, status, call to action, category, and any other notes you might have—and that’s really all you need to get started. Keep a close eye on your headlinese as you develop this calendar, both to draw inspiration from past posts and make sure you don’t ever repeat yourself. Leaving space for news. Don’t schedule your content so far in advance that you can’t do anything when a news topic starts trending. Leave yourself some blank spaces, with the assumption that your near-constant news monitoring will allow you to fill in those gaps with timely posts. Remember that your timing is an important element in how your topics are received by a searching public. Targeting the right audience. When you start drafting your content, don’t forget that you’re writing for a very specific audience. Keep your brand voice consistent and make sure your tone, vocabulary, and structure are all appealing to the type of searcher you intended to target with your content topic. For example, if you’re writing a basic instructional article like “how to clean an air filter in an air conditioner,” you’ll want to avoid getting too technically complex. Content quality. You’ll also want to make sure that the content you create is “high quality,” which is a frustratingly vague term that refers to your level of depth, your style of writing, the types of media you include, and how much detail you bring your readers. The better your content, the more likely it’s going to be to rank for users’ queries, thanks to its propensity to earn more links and its adherence to Google’s content standards. I outlined 12 elements of high-quality content in my article at Forbes. Like with keyword research, it’s not enough to perform one round of topic research and be done with it. You’ll need to monitor your progress in your topics, and use that information to adjust your campaign in the future. Traffic. Use Google Analytics to see how much traffic your blog posts are generating. Though here, topic research is used mainly as a way to facilitate an SEO campaign, you can actually measure your articles’ popularity in terms of organic (search) traffic, referral traffic, and social traffic. Take a look at your top performers and ask yourself—why are these bringing in more traffic than the others? Similarly, take a look at your worst performers, and avoid topics like those in the future. Links and shares. You can use a tool like Open Site Explorer, Ahrefs, or URLProfiler to check and see how many inbound links each of your pieces of content has earned, and use your own website to check how many shares you’ve gotten. More links and shares will lead to higher organic search rankings for your individual content pieces and will boost the domain authority of your entire site, but more importantly, these are an indication of your topics’ popularity, effectiveness, and shareability. Engagements. Finally, take a look at the engagements your topics generate. How many are people responding to them? What kinds of comments are you getting? Are you sparking discussions? Are you inspiring rebuttals or follow-up posts? Though SEO and content marketing are often considered separate strategies, the reality is they’re almost indistinguishable. In the words of Neil Patel, “They go together. They just fit. They work well together… SEO is actually all about content marketing, and vice versa.” Both keywords and topics will help you in both areas, so you’ll need both if you want to continue making progress. There are just a handful of additional considerations you should bear in mind when moving forward with your keyword and topic research strategy. Google’s local search functions on a separate algorithm from its national search. Currently, Google offers a “3 pack” of local results, above the fold of organic search results that features the three most relevant local business it can find for a query. There are many factors that go into these 3-pack rankings, including conventional SEO authority factors like your link profile, but also your presence in third-party directories and the number of positive reviews your business has received. If you’re interested in boosting your local relevance, it’s worth considering throwing some local keywords into your campaign – keywords that include a geographic indicator, such as your city name. This can help you expand your relevance for potential searches in your surrounding area, and create more targeted pages for your key demographics. You’ll want to avoid using clunky phrasing in your keywords, like the “burger restaurant Denver” example I used earlier, but you can still incorporate local keywords into your content more naturally. Try to use synonyms and alternative descriptions of your area if you do this; for example, a business outside of Cleveland could use terms like “Cleveland,” “Northeast Ohio,” “Greater Cleveland area,” or “Cuyahoga county” to describe its location. Note that local keywords aren’t necessary to rank; they’re merely an added bonus for local businesses that want the boost. Rich answers are becoming an increasingly present feature of Google search; these are informative boxes that pop up above organic search results in response to certain easily answerable queries. For example, the phrase “what is wave particle duality” returns a shockingly concise explanation in paragraph form, drawn from the Wikipedia article on the subject. There are some fears that these answers, as they become more popular, could wick away some of your organic traffic. However, in the meantime, you can exploit the fact that Google looks to external sources for this information. As a primary strategy, you can target “answerable” keywords and topics for your campaign, and use a structured markup to feed your information to Google, giving you a chance at being the featured brand in this box. As a secondary strategy, you can target highly niche, hard-to-answer keywords and topics that don’t have a good chance of yielding rich answers in the first place. Most of this article, especially the “tools” section, is focused on Google search results or information drawn from Google. Google is still responsible for more than two-thirds of all searches, but there’s still a third of all searches floating away from Google. It’s a good idea to hedge some of your research by exploring keyword data on Bing and other search engines you encounter, and keep watch to see how they develop over time. Hashtags function similar to keywords on social media, and if you’re engaged in a social media marketing campaign, they’re well worth your notice. “Trending” lists on various social platforms will help you quickly identify new potential keywords and topics for your on-site content, but don’t forget to also use them in your social media posts (provided you know how to use them appropriately). Your website isn’t the only place where you can optimize pages. If you have a company presence on Amazon, eBay, or a similar service, for example, you can potentially use search data on these niche platforms to optimize your product pages for potential searchers. Here, you’ll need to optimize your pages both for traditional search engines (i.e., Google), and for in-app searches. Just bear in mind that in-app searches tend to function differently than Google search; they depend heavily on product ratings and reviews to determine authority and rankings. I’ve already listed and explored a number of tools to aid you in your keyword and topic research, but this section is meant to organize, detail, and evaluate them individually. Some of these tools are better for some functions than others; for example, Ubersuggest is only good for generating more keyword ideas early on in your research. Consult this section to find the tools you need for the various stages of your research, and don’t be afraid to try out multiple tools in multiple ways until you find out what works best for you. If I had to recommend one tool to you, it would be Moz’s keyword research tool—its Keyword Explorer. Keyword Explorer pulls in data from a number of different sources, including Google’s Keyword Planner (more on that next), Google Suggest, and a number of other sources. It compiles this information into easy-to-understand (and visual) metrics, and can even give you keyword recommendations. There’s also a handy import/export function so you can use it in conjunction with your previous work and your ongoing work with other tools. This tool gives you a lot of information, so what should you really focus on for your keyword research? Well first, you’ll need to plug in some central information—a keyword or keyword phrase that you want to target. Choose what you believe to be one of the most relevant keywords for your brand—as relevance is the one thing Moz won’t be able to measure for you, due to its subjective nature. Volume. Keyword Explorer purports to have 95 percent accuracy when it comes to the national search volume for your given term. This should help you almost pinpoint how much traffic each keyword’s going to get. Difficulty. Rather than relying on vague generalizations, Moz will give you a numerical score for the competition volume of a given word, helping you determine exactly what is and what isn’t too hard to rank for. Opportunity. The opportunity measure is a subjective score based on the relative power of a given keyword, based in part on click-through rates. Some keywords may have a high volume, but a low opportunity due to significant searches but few engagements. Potential. If you’re nervous about how to pull this information together into something meaningful, don’t worry—Moz has you covered. Its “potential” score combines the other three factors into a single value on a numerical scale. If you’re looking for one score to tell you whether a keyword’s worth going after, this is the one to view. In another section, you can use your base input as a way to generate new keyword suggestions. Keyword Suggestions. This tool goes deeper than most of the others on this list. You’ll be able to select the type of keyword suggestions you receive, filtering by source, by proximity to your original keyword, or even choosing to get a mix between keywords and topics—which makes utilizing both sides of your research easily. You can also filter and sort them by factors like volume and “relevancy” to your original term. SERP Analysis. After that, you can use this tool for some competitive research (and to get a better feel for your actual ranking opportunity). This section of the tool breaks down what the SERP looks like for this given term, including any of your competitors who currently rank for it, whether there are rich answers present, and whether there’s a significant threat of visibility from existing paid advertisers. Google’s Keyword Planner is one of the most recommended and most talked-about keyword research tools available, but there are a few major downsides that you should keep in mind before using it. These aren’t deal-breakers, but they are considerations that can (and should affect) how you use and trust the tool. For example, Keyword Planner tends to round search volume data, and splits keywords into “buckets” of numerical data. You may also find that Keyword Planner gives you inconsistent, or “strange” recommendations that don’t seem to fall in line with your brand. This is subjective, but you’ll want to use a diverse selection of keyword idea generators if you’re looking for new recommendations anyway. There are four ways to use the Keyword Planner, but only three are going to matter for your organic SEO keyword research. First, you can search for new keywords by using a phrase, website, or category. This function is relatively straightforward; you can enter any combination of different keyword phrases you’ve come up with, your own domain, a competitor’s domain, or a pre-existing category that Google has outlined for your industry. Google will then use this information to fetch new keyword suggestions that you can fold into the results of your own brainstorming sessions. Second, you can dig into search volume and other types of data for a keyword list you’ve already generated. This is ideal if you’ve already got a spreadsheet full of keyword ideas and you’re just looking to fill in information like search volume and competition rating. Ultimately, Keyword Planner is best used for generating new keyword ideas and collecting consistent information on the keywords you already have, though Moz’s Keyword Explorer does seem to provide more accurate data. Google Correlate is an interesting niche tool; it won’t provide you with detailed numerical information on keywords, but it will help you uncover trends and patterns in search. For example, you can plug in some of your target keywords to see how their search volume changes with seasonal transitions, or how they compare in different states. There’s a lot to experiment with here, so reserve it for exploring your semi-finalized list of keywords in greater detail. 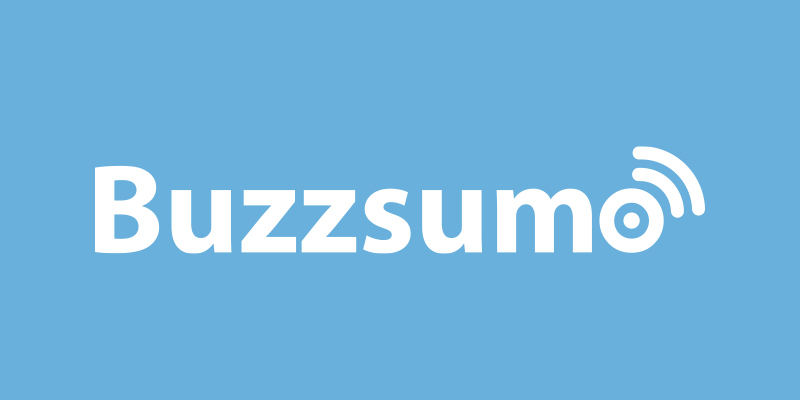 BuzzSumo is a tool best used for topic research, rather than keyword research. With it, you’ll be able to search for a range of different topics, and explore some of the most popular stories within that topic. You can filter by date, language, country, and content type, then explore to see how each of these top-performing topics are doing. For example, you can check out how many shares a topic has gotten on each major social media platform, or evaluate how many links it’s gotten. This is great for checking to see whether your topic ideas have already been explored, how they’ve been explored in the past, and how popular those topics were. If you’re still in the ideation phase, you can search for more general topics and keywords, and browse through these lists to find inspiration for your own topics. Be sure to check out the monitoring, area, where you’ll be able to keep an eye on what your competition is doing in terms of content and SEO on a regular basis. As you’ve already seen, SEMRush offers several different functions, including a keyword research and keyword ideation tool similar to the ones offered by Moz and Google that will break down things like search volume, cost-per-click (which can be used as an indirect way to measure competition), and SERP appearance. However, where SEMRush really shines is its ability to help you monitor and analyze your performance. You can plug in your domain or URL and immediately see a plethora of information about your site, including your organic and paid search traffic, your inbound links, and your organic keyword rankings. Since Google doesn’t provide this information and manual hunting is a tedious pain, having all your major keyword rankings in one spot is incredibly beneficial—it can even help you discover keywords you didn’t know you were ranking for! In addition to this, you’ll be able to plug in a list of your own keywords and monitor your performance for those specifically. SEMRush also gives you the ability to compare your domain to another domain, highlighting competitive opportunities and evaluating your relative performance. Ubersuggest is one of the simpler tools on this list, but it’s highly valuable for generating new keyword ideas because of that simplicity. It uses Google’s suggest feature to come up with recommended variations of a target keyword or phrase that you enter—it’s a fantastic way to start general and work to more specific potential targets. All of these tools have strengths and weaknesses, and no single tool will provide you everything you need for a thorough bout of keyword and topic research. All of them are either free or offer free trials, so do yourself a favor and experiment with all of them. Regardless of what peripheral strategies you use for your campaign, keyword and topic research is essential if you want to employ your SEO and content strategy with any kind of direction. You can use it as intensively or as passively as you like, depending on your goals, as long as you keep in mind how Google functions with semantic search. Despite what you might hear, keywords are still very much a part of effective SEO—as long as you’re researching and implementing them properly.